Teaching in the Tropics: Want to Teach in the Tropics? 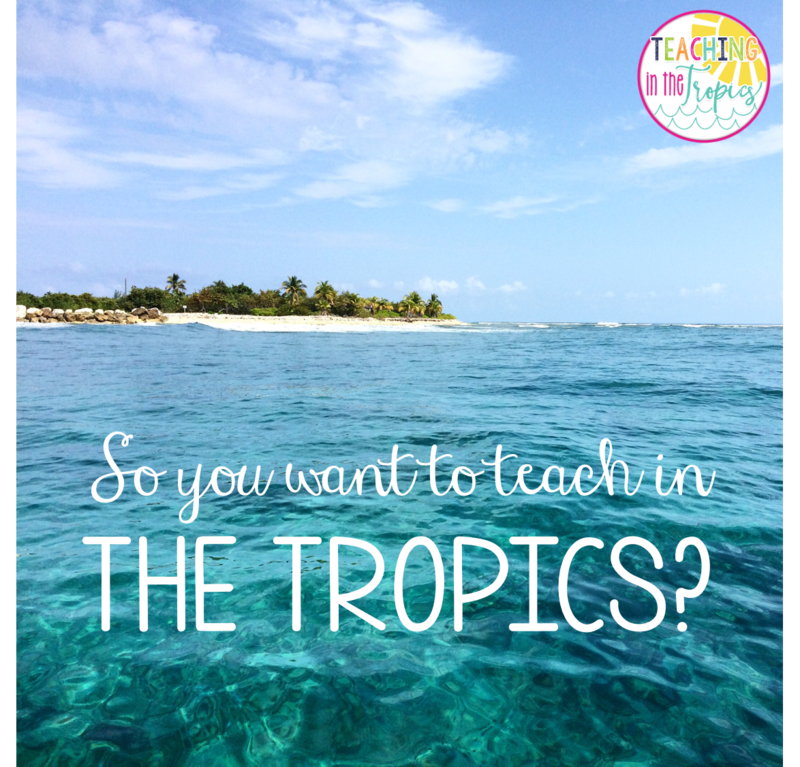 Want to Teach in the Tropics? 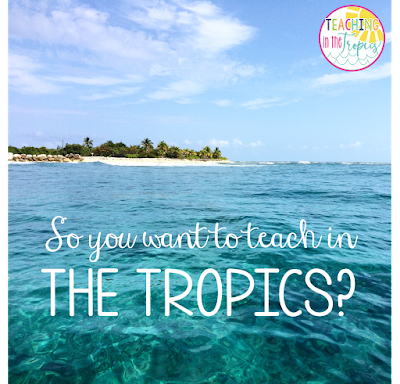 Have you ever dreamed of teaching on a tropical island? I have included this page on my blog to share some information with you about teaching in the Cayman Islands and how to go about the process of securing a teaching job here. I have used a question and answer format to make it easier to follow and find specific information. Q: What kinds of schools are in the Cayman Islands? What are they like? A: We have two types of schools here: government (or public) schools and private schools. The private schools are all on Grand Cayman, which is the largest of the three islands. Grand Cayman also has quite a number of public schools. Cayman Brac, the island that I live on, has two primary schools and one secondary school (serves as a middle and high school). Little Cayman, the smallest and least populated island, has one primary school. Since the Cayman Islands is a British territory, the public schools here follow the British system; that is, their curriculum and many of their policies are based on the British education system. The private schools here can choose to follow either the British or American system, but most of them lean towards the American education system. Q: How do I apply for a teaching job? A: Schools begin advertising available positions and hiring between January and June. Job ads for the public schools are posted on the recruitment page of the Cayman Islands government site. (Note: I've noticed the site seems to have trouble loading in Google Chrome, so try a different browser if you encounter that problem.) From there, you will be able to view the job description, salary range, and download the application. Most of the teaching job applications are generic, so instead of applying to a specific school, you would be applying for a position at any of the primary schools (or secondary schools if you teach middle or high school). However, if you would like to see a list of the public schools here in the Cayman Islands, you can click here for high school and here for primary schools. Most private schools post their ads on their individual websites, so you will need to visit the site of the school you are interested in to view that information. Click here to see a list of all the private schools. This is a great resource because it provides some general information about each school, as well as the contact information and website. The private schools are all quite different, so I encourage you to view their websites to get a feel for each one and decide if any are right for you. Q: What are the requirements to work as a teacher in the Cayman Islands? A: In order to teach here, expatriates must have a teaching license and a work permit. Your teaching license does not have to be a Cayman Islands teaching license; the schools here are pretty flexible and accept licenses from other countries. My teaching license is from the US and they had no trouble accepting it. I have also heard that licenses from Canada, the UK, Australia, etc. are easily accepted. After you are offered a position, the government (for public schools) or the school (for private schools) handles the application for your work permit. However, they will need you to submit reference letters, transcripts, photos, certifications, and a police clearance from your home country. You will also be required to have a medical exam and blood work done. Q: I have children. How do I go about enrolling them in a school in the Cayman Islands? A: I encourage you to visit this page to read up on this process. It has a ton of useful information! Q: Where can I look for housing and/or a vehicle? A: We have our own version of CraigsList here, which is called EcayTrade. If you are looking for a place to live on Grand Cayman, go to "Real Estate," click on either "For Rent" or "For Sale," and you will be able to look through tons of ads for apartments, houses, condos, etc. You can also filter the search based on the location so you should be able to find a place in an area near the school you will be teaching at. To look for a vehicle, just click on "Autos" (under "Autos and Boats") and you will be able to look through a variety of ads. I hope this information was helpful for you! Have any other questions? Feel free to email me or post them in the comments below!